2. 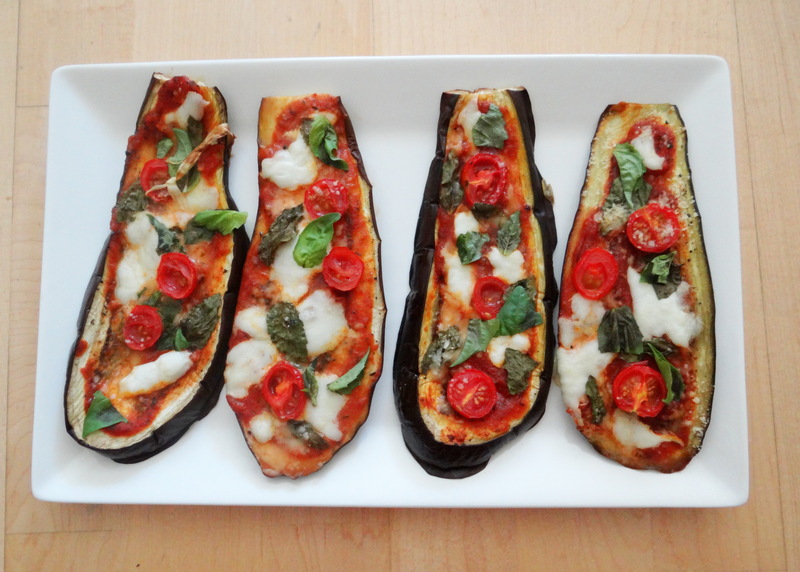 Slice eggplant so you have long pieces. 3. Spoon marinara sauce onto each piece and spread out. 4. Add pieces of mozzarella cheese, tomatoes and sprinkle parmesan cheese & basil on top. 5. Bake in oven for about 15 minutes until the cheese has melted. Next Postbutternut squash soup.. perfect for the holidays!